From the Editor: Carlton Anne Cook Walker has extensive experience with the IEP process as an attorney, as a teacher of the visually impaired (TVI), and as the parent of a blind child. 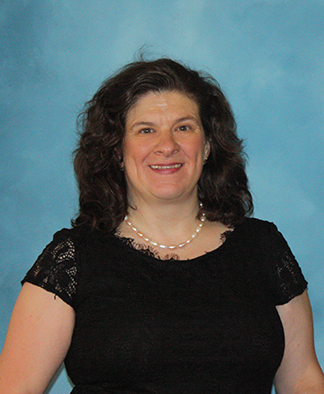 A past president of the National Organization of Parents of Blind Children (NOPBC), she currently directs Braille programs at the NFB Jernigan Institute. Each year public education provides millions of students with the foundational skills they need to succeed in life. Public school provides academic instruction as well as opportunities for learning functional skills such as organization, time management, and social interaction. Federal law ensures students with qualifying disabilities access to a "free and appropriate public education," or FAPE. Schools and families often disagree regarding which services constitute FAPE; schools often wish to limit services, and parents tend to want their children to receive all services necessary for their success in school. For many years, the courts ruled that FAPE required very little meaningful education; only an education slightly greater than de minimis (negligible) was legally required. On March 22, 2017, the United States Supreme Court revisited this matter. In a unanimous decision, the court held that schools must develop individualized education plans (IEPs) that are reasonably calculated to enable a child to make appropriate progress in light of the child's circumstances. We do not yet know how the lower courts will apply this standard, but it is clear that the Supreme Court values education for students with disabilities. In the meantime, it is reasonable to look to sighted norms for guidance about what constitutes a free and appropriate public education for blind students. For example, if the child has no disability other than blindness, we should look to what the school provides to students in regular education as the minimum of what the blind student should receive. Within this framework, the blind student should receive accessible curricular materials; access to information posted around the school and classroom; and the opportunity to participate fully in classes, lunch, and recess. Certainly our blind student will need blindness-specific instruction in areas such as Braille, but he or she should never receive fewer educational opportunities than sighted students are granted. Similarly, if a student has an intellectual disability in addition to blindness, we would expect instruction in blindness skills and in the educational curriculum provided to sighted students with intellectual disabilities. While homeschooling and private schools provide excellent educational platforms for many students, federal special education law focuses upon public education. Federal law (specifically, the Individuals with Disabilities Education Act, or IDEA) does not provide special education protections for students who are homeschooled. However, some states, such as Kansas, recognize homeschooling as a public school option, and the IDEA requirements fully apply. A number of states provide some level of protection for homeschooled students who need special education services, and parents can look to their state statutes and regulations for guidelines. Students placed in private school by their parents (outside of the special education administrative process) have only minimal access to special education services from their local public schools. If the school district determines that a private school placement best meets the child's needs, then the district must provide the necessary special education services. Federal law recognizes the right of legal guardians to serve as decision makers for children in their care. When the term "parent" is used in this article, it is inclusive of legal guardians of the child. Federal law provides legal protections for students with disabilities. These protections require that children with disabilities be identified in all areas of disability and be provided with a free and appropriate public education (FAPE). The process through which these protections arise is commonly called the IEP process. IEP stands for individualized education plan. The IEP is a written, legally enforceable document prepared by a group of individuals consisting of the child's parents and teachers; school administrators; other individuals with relevant information; and, when appropriate, the student with a disability. IEPs are developed for students ages three through twenty-one or high school graduation, whichever comes first. The document containing plans for infants ages birth through three years is called an individualized family service plan, or IFSP. Laws relating to IFSPs differ in some ways from those covering IEPs. This article will focus upon IEPs and the IEP process. Some states use different terminology to refer to the IEP process. Most notably, Texas uses the term ARD, which stands for admissions, review, and dismissal process, to refer to the team meeting at which a student's education plan is created. This article will use the term IEP process rather than any state-specific variations to describe the process of developing and reviewing IEPs. Schools perform evaluations of children for eligibility and educational planning purposes. If the parent disagrees with the evaluation, the parent may ask for an independent educational evaluation (IEE) at the school district's expense. Eligibility and educational decisions are made by the IEP team, of which the parent is always a member. The school runs the IEP team, and, unfortunately, school officials do not always allow parents to be equal team members. Parents who are not meaningfully included in the IEP team may well disagree with the team's decision. If the parent disagrees with the decision of the team, he or she must alert the school of this fact, in writing, and must request mediation or due process within a short time frame. If the parent does not follow this course of action, the parent will lose the right to appeal the team's decision. Many children with visual impairments have only 504 plans instead of IEPs. For a blind or visually impaired child, a 504 plan is entirely inappropriate. Children who qualify for an IEP must receive an IEP, or the school district has failed its Child Find duty. The term "504 plan" refers to supports provided to a child so that the child may access the school building and remain there safely, pursuant to Section 504 of the federal Rehabilitation Act. Examples of appropriate matters for 504 plans include elevator access for a child who uses a wheelchair, emergency medicine for a child with life-threatening allergies, and medical support for a child with diabetes. 504 plans are not designed to meet a child's educational needs, and they do not provide nearly as much legal protection as IEPs do. Legally, 504 plans do not even have to be in writing, and they can be changed by the school at any time with no notice to the parent. In marked contrast, IEPs must be in writing, and they provide extensive legal protections, including the right to sue if the school does not follow the plan. Some children are entitled to both an IEP and a 504 plan. Many schools choose to merge the two and include 504 plan provisions in the child's IEP. This practice provides the child with additional protections, and it is acceptable. However, it is never acceptable to put IEP-related needs on a 504 plan. The child must have a visual impairment. The visual impairment must adversely affect educational performance. The child must need special educational and related services as a result of the visual impairment. Visual impairment includes any visual impairment that cannot be corrected by glasses. Children are not required to undergo surgery in order to "correct" a visual impairment. If a child still has a visual impairment when wearing prescription glasses prepared to correct the child's vision, that child qualifies under the definition. With regard to an adverse effect on educational performance, the law is clear that this stipulation does not require a student to be failing. Instead, adverse effect can refer to difficulties the child has performing in the classroom, hallways, cafeteria, or playground of the regular education setting. Please note that, for the evaluation to determine adverse effect, the child should be provided with only regular education supports (no enlargements, special lighting, etc.). The child certainly may need these supports in school, but we cannot know what the child actually needs if we provide these supports during an evaluation. As noted above, a child must also "need special education and related services" in order to be identified as eligible for an IEP. Typically, this requirement is not a great hurdle to overcome. Any special accommodations, tools, or instruction needed to ameliorate the adverse effect of a disability meet this prong of the eligibility test. Once the school has completed its evaluation, a team including parents, educators, administrators, and other relevant individuals will meet to determine whether the child is eligible for special education services. If the answer is yes, the team will determine under which disability category or categories the child will be served. Once a child is found to be eligible for special education, the next step is to develop an IEP. The development of the IEP depends on the child's needs and strengths. The school's assessments and reports should offer valuable information about the child's current needs in the school. School officials should also be capable of forecasting the child's future educational needs (after all, high school students are expected to read and write more than kindergarteners are). Parents should thoroughly and critically review these school documents to assess what should be added to the IEP. Parents have valuable information about the child that is vital to the development of the IEP. Information about the child's likes and dislikes, time spent on homework, attitude toward schoolwork, behavior, etc., help the IEP team serve the whole child, not just the one at school. Parents should write their own report about the child and share it with the school. Most parents of children with visual impairment, including blindness, have no prior experience with visual impairment or blindness (my daughter was the first blind person I had ever met). Furthermore, few educators and school administrators have had any experience with blind adults. For this reason, information and support from competent blind adults is very important for us as parents. The National Federation of the Blind has affiliates in every state, in Puerto Rico, and in the District of Columbia. Please reach out to your affiliate president by visiting https://nfb.org/state-presidents-list to connect with one or more blind adults. These individuals can provide you with invaluable information, and they may be able to accompany you to an IEP meeting to help you advocate for what your child needs. Prepare for the IEP meeting. Make notes on the school's reports. Write your own statement about your child—both strengths and areas of need. Reach out to and connect with NFB members. IEPs are legal documents, and there are legal requirements regarding who should be at the meeting, what must be discussed, the manner in which the IEP should be developed, and timelines related to these matters. First, I will discuss the IEP team. Federal law sets forth necessary members of every IEP team: parent, at least one regular education teacher (unless the student has no regular education teachers), at least one special education teacher, a local education agency (LEA) representative (usually, a principal or special education director), and an individual who can explain the implications of the educational reports (this can be one of the people listed above). In addition, the law states that meeting participants may include, "at the discretion of the parent or the agency, other individuals who have knowledge or special expertise regarding the child, including related services personnel as appropriate." Furthermore, the law says that "whenever appropriate, the child with a disability" should take part in the IEP meeting. Schools often try to excuse certain members of the team from the IEP meeting. In most cases, this is not appropriate. A team member's attendance can be deemed unnecessary only if that member's area of curriculum or related services is not being discussed at the meeting and if the parent and school agree that the team member need not attend. A team member may be excused only if (1) the parent and school agree to the excusal, in writing; and (2) the team member has submitted his or her information to the parent and the IEP team in writing before the IEP meeting takes place. Please note that one individual, the LEA representative, can never be excused from the meeting. Moreover, the parent should always be included, and the school should offer to meet at times convenient to the parent in order to facilitate the parent's attendance at the meeting. 1. Behavior that impedes the child's learning or the learning of others. 2. The language needs of a child with limited English proficiency. 3. Braille use and instruction for children who have been identified as having the disability of visual impairment, including blindness. 5. Need for assistive technology. Two of these factors should be addressed for all blind children: numbers three and five. The other three factors may or may not be needs for our children. Factor number three requires Braille use and instruction for all students identified as having visual impairment, including blindness, until the IEP team determines that Braille is not appropriate for the child (based upon an evaluation of the child's current and future reading and writing needs). In practice, schools do not typically provide Braille instruction until after the evaluation, though this practice is in violation of the law. Also, in practice, the evaluations performed for this purpose often do not meet the legal requirements of federal law. The only assessment that meets these requirements is the National Reading Media Assessment (NRMA). Factor number five, the need for assistive technology, should be considered for each of our children. Federal law defines "assistive technology" very broadly, and the definition includes non-electronic and store-bought items—so long as the item "is used to increase, maintain, or improve the functional capabilities of children with disabilities" (20 U.S.C. section 1401(1). Additionally, federal law provides that IEPs may include training in the use of assistive technology devices for the student, staff members, families, and others (20 U.S.C. section 1401(2). In general, our children should have access to their assistive technology at home and in the community as well as at school. Our children's assistive technology often makes information accessible to them. They need these tools to do homework, perform research, and access the Internet and email efficiently. Federal law provides that students may take school-purchased assistive technology home or to other settings if the IEP team determines that the student needs those devices in order to receive FAPE (34 C.F.R. section 300.105(b). Present levels represent the heart of the IEP. The entire IEP is based upon the information in the present levels section. Present levels set forth the student's current abilities and areas where the student needs growth. If the student has an IEP in place, the present levels should set forth the student's progress on those goals. If a student met the goal months earlier, a new goal should have been put in place. If the student has not yet met the goal, the IEP team should discuss the reason for this. Perhaps not enough instructional time was devoted to the goal, perhaps the method of instruction did not meet the student's individual needs, or perhaps the student encountered health or other changes that made the goal unreachable. The IEP team should delve into the student's progress on each goal to determine appropriate goals for the future. In no case should a goal be continued without discussion and thought as to its appropriateness for the student. The purpose of special education is to provide the instruction and support necessary to allow the student to reach her or his academic and functional potential. For this reason, present levels should include information regarding a student's academic achievement and how that achievement level compares with that of the student's nondisabled peers. Similarly, we must document the student's functional abilities, which include school-oriented study skills such as organization and time management as well as daily living skills, such as self-care, eating, walking, etc. In no case should we assume that blindness keeps a student from achievement. Instead, we must identify the area of need and then develop instruction designed to help the student perform the task (or at least achieve the results of the task) in a different manner. Academic performance should include grades, but it should not end there. Information about the student's performance in class, reading and writing level, speed, and stamina must be gathered and reported to the team. Also, reading comprehension and writing legibility must be considered. If a student is not performing at age/stage expectation level in one or more of these areas, this issue must be addressed. Blindness or low vision is not a sufficient reason for substandard level, speed, stamina, comprehension, or legibility, though additional disabilities might be a factor with a particular child. We must keep expectations high for two reasons: (1) blind/low-vision students can attain age-appropriate academic levels if they receive appropriate instruction and tools; and (2) after public school, individuals will not receive extra time to perform work in a competitive workplace environment. Present levels of functional performance are also evaluated using assessment tools, including assessments of residual vision. The assessment often used is termed a functional vision assessment. The term functional is key to this assessment. Vision is a tool, but it is useful only when it is functional. In many cases functional vision is efficient only for short periods of time. For this reason the IEP team should demand comprehensive information about vision functionality. The team should consider the current effectiveness and efficiency of the student's vision. (Does the student need bulky equipment or special lighting in order to read? Does this have an impact on the functionality of the student's vision?) The team must also consider the stability of the student's vision—that is, the degree of vision that is likely to remain available to the student over time. Moreover, the IEP team must determine the functionality of that residual vision in later years, including the years after high school graduation. If the student's current vision is functional for a first grader, but not functional for a high school or college student, then the IEP team must not rely on that vision to serve the student's long-term needs. Alternative techniques will be necessary. Many teachers also include an assessment of the student's proficiency in each of the nine areas of the Expanded Core Curriculum, or ECC. These areas are compensatory or functional academic skills, including communication modes, orientation and mobility, social interaction skills, independent living skills, recreation and leisure skills, career education, use of assistive technology, sensory efficiency skills, and self-determination. The ECC provides a good framework of areas that need to be addressed for our children. However, it is important to remember that academic needs must not take a back seat to ECC goals. Additionally, please note that Braille literacy is only considered a "compensatory skill." However, as noted above, Braille literacy is a fundamental, federally protected right for each of our children. The fact that the ECC does not highlight the importance of Braille literacy does not, in any way, diminish its importance. Other areas that should be included in a report of present levels include challenging behaviors and daily living skills. Please note that "challenging behaviors" do not include typical child behavior. These behaviors must be so out of the ordinary that they inhibit the learning of your child or other students. School officials should document "challenging behaviors," should set forth the disruption caused, and should have data regarding these behaviors, including events that precede or seem to trigger them. Frequently our students act out when their needs are not being met or when they are being bullied by other students. Daily living skills should be included in the IEP, even if they do not directly relate to the school's academic requirements. A child who has difficulty putting on a jacket, zipping it up, taking it off, or hanging it on a hook may need instruction in these skills, even though these skills are not being taught to nondisabled students. Similarly, self-feeding, shoe-tying, and other skills may need to be taught in a different manner for our students than for others. The IDEA requires schools to prepare for postsecondary education, postsecondary employment, and independent living. When the student nears high school graduation, the law requires the IEP team to consider the student's preparation in these areas through transition planning. If the student will reach age sixteen or older during the period covered by IEP (many states set this age at fourteen), the IEP team must consider transition present levels and develop a transition plan. Additionally, students in this age range must have transition goals in their IEPs. Parental concerns make up one of the most important portions of the present levels report. While schools are not bound to accept parental concerns as valid, they are bound to listen to the parent's concerns and to include them as part of the IEP document. In order to facilitate this, I recommend that parents write out their concerns before the meeting and request that their writing be added to the IEP. Even if the school has addressed your concerns earlier in the present levels, please include those concerns in this portion of the IEP. Doing so highlights the importance of these areas to you, and it can help school staff members understand your perspective on your child's education. Each IEP must also contain a statement of how the student's disability or disabilities affect the student's participation in the general curriculum. For most of our students, the regular education curriculum is inaccessible due to its rendering in print or graphically based electronic media. Remember that this statement is not an attack upon your child; instead, it highlights the inaccessibility of the regular education curriculum. Lastly, present level reports should contain a list of the student's strengths and needs. This statement is vital, and the information reported here should be objective and meaningful. For example, "Is pleasant" is not a meaningful or relevant strength, but "Willingly engages in new tasks" does meet each of these criteria. Note that the Needs section is very important. Every need identified in the Needs section must be met through the IEP in the form of a goal, an accommodation, a modification, a service, or more than one of these things. Each IEP should list the accommodations and/or modifications your child needs for testing purposes. The term accommodations refers to alternative ways of assessing the same information. Modifications refers to changes in the information assessed. Examples of accommodations include providing the test in Braille, providing screen reader access to an electronic test, and allowing the use of a tactile ruler for measurement. Examples of modifications include decreasing the number of questions in the assessment, having an aide read passages aloud for reading comprehension tests, and reducing the number of answer choices in a multiple choice problem. In general, we aim for accommodations only. When we use modifications, we are changing the nature of the assessment so that it becomes more difficult to compare those results with the results of other students. When we use accommodations only, we can more accurately compare results with those of typically developing peers and, therefore, typical grade-level expectations. All of the accommodations and modifications a student uses should be included in this portion of the IEP. If a student does not typically use an accommodation/modification, it should not be included. However, accommodations for breaks during testing should be included as needs for extended testing times (e.g., "When testing exceeds sixty minutes, the student will be allowed to take breaks as needed.") In this manner, the IEP is meeting the student's need only when that need is present. Please remember that any accommodations/modifications that are listed in the IEP may or may not be available during state assessments, college entrance examinations, etc. While these testing agencies should provide all needed accommodations/modifications, this does not always occur. However, any accommodations/modifications that are not listed in the student's IEP will probably not be available in other testing situations, so it is vital to include all needed accommodations/modifications in every IEP. The question I am most often asked by parents and teachers is, "What is a good goal?" I tend to frustrate them a great deal with my lawyerly answer: "It depends." From the legal standpoint, IEP goals must be "measurable annual goals, including academic and functional goals, designed to: meet the child's needs that result from the child's disability to enable the child to be involved in and make progress in the general education curriculum and meet each of the child's other educational needs that result from the child's disability" (20 U.S.C. section 1414(d)(1)(A)(i)(II)). Federal law also requires that IEP goals include a description of how and when progress will be measured and when periodic reports of progress will be made. Borrowing from the business world, many in the special education community have adopted the acronym SMART to describe goals standards. SMART goals are Specific, Measurable, use Action words, Realistic and Relevant, and Time-limited. Good goals meet each of these criteria. The specificity is necessary so that anyone, including another service provider or school district, could implement the goal. Measurability is required under the law so that progress can actually be quantified; "improvement" is not a measurable outcome. The use of action words helps to describe the action we want the student to be able to perform as a result of the instruction. Realistic and relevant goals are individualized to the student; goals must not require more than a student is capable of, but the goals must also seek to provide the instruction that the student needs. For example, an average-performing student who suddenly becomes blind in fifth grade will need Braille instruction. We cannot expect that student to attain grade-level Braille proficiency in just a few months, but we must tailor instruction to get that student to grade level as soon as possible (which should be a shorter length of time than would be expected of a younger child who has not yet learned to read or write). The time limitation helps educators focus on the time in which the goal should be attained. Goals should be designed to be attained in twelve or fewer months. Sometimes educators choose to use rubrics in goals. Rubrics allow for the assessment of multiple criteria to further an overall objective. Rubrics can be quite useful in IEP assessment. However, if rubrics are used in the measurement of the goal, the IEP team must include the rubrics in the IEP, either within the goal or as an attachment. If this action is not performed, no one knows the criteria that need to be met under that goal. Best educational practice dictates that parents and the student should be contacted regarding goals. However, this is not legally required. Additionally, it is helpful to consult other service providers (including paraprofessionals and classroom teachers) in fashioning meaningful goals for a student. As noted above, goals should be meaningful to the student and individualized to the student's areas of need, as documented in the present levels. Also, the IEP team must be willing to change the goal if necessary. Whether the goal has been met or it's just not working, goals can, and should, be changed whenever the need arises. Goals are the most visible part of the IEP, but a great deal of instruction occurs outside goals. Goals typically measure important areas where needs exist. Yet goals need other special education support to be effective. For example, a great Braille reading goal will likely not be met if the student does not have access to appropriate Braille reading material throughout the school day and at home. Special education supports can consist of many types of items. Equipment such as Braillewriters, computers, and screen-reading software is vital to support student achievement. Accessible educational materials, including worksheets, class charts, labels around the classroom, textbooks, quizzes, tests, classroom posters, and reference materials, including digital and electronic information, are vital in today's classroom. Other support can be provided by personnel. A staff member may be assigned to produce Braille materials for a student, and that staff member's services should be set forth in this section of the IEP. Similarly, the services of a paraprofessional or other support staff should be set forth in this section. This area might also include supports provided by the parents, which the student is allowed to have at school. Examples could include hats or visors to be worn indoors; the right to use a long white cane throughout the school; and an accessible combination lock for a school locker. Each of the supports needed should be set forth in this portion of the IEP. If a support is not listed, it is not a part of the IEP. The support could be taken away when new staff members arrive or when the student moves to another school or school district. Outlining each and every support may seem tedious, but it is vital to ensuring that all school staff, both present and future, understand and will provide what your child needs. Related services include many areas of nonacademic instruction such as physical therapy, occupational therapy, and speech therapy. Federal law specifically notes that orientation and mobility instruction is a related service and should be included in the IEP when appropriate. While orientation and mobility instruction does not always include cane travel instruction, it often does. Cane travel instruction is very appropriate for many students identified as having the disability of "visual impairment, including blindness," including those with functional vision. As noted above, we should not lower our expectations of our children due to their blindness or low vision. Our children should be able to move and travel as efficiently and effectively as they would if they were typically sighted. For a child whose only disability is blindness or low vision, human guides, trailing walls with the hand, and probing areas with the foot are all supports that can be replaced by cane travel. If your child's vision is not efficient and effective for age-appropriate travel in all environments, your child may well benefit from cane travel. This section of the IEP is sometimes overlooked, but it is very important. In children, blindness is a low-incidence disability; about one-tenth of 1 percent of children with IEPs have "visual impairment, including blindness" as their primary disability. The relative rarity of our students means that many regular educators and administrators might have no experience with a student with blindness/low vision. As a result, these individuals often need support in making the regular education curriculum accessible and meaningful to students with visual impairment, including blindness. Services geared toward making materials accessible (including Braille transcription, creation of tactile graphics, and the creation of accessible electronic materials) should be provided for in this section of the IEP. Time requirements will vary based upon the material needs of the day, so it can be helpful to set forth this support time in monthly blocks. Teachers of blind students often need to consult with other educators and related services providers to ensure that the student receives the free and appropriate public education (FAPE) to which he or she is entitled. Blind students are completely capable of engaging and succeeding in all classroom subjects, including mathematics and science. Art and physical education are valuable for blind students, but the instructional methods may need to be altered to allow for accessibility. Blind students can read music by using the Music Braille code, which was developed by Louis Braille nearly two hundred years ago. Your IEP team can better ensure that your child will receive FAPE by providing sufficient time for consultation by your child's teacher of blind students. On the federal level, there is no right to individualized education based upon academic or artistic giftedness. Any legal right to special education related to giftedness originates in individual states. States vary in their approach to gifted education, and some states do not have any provision for gifted students. States also vary greatly in the term used to describe giftedness and in eligibility requirements for gifted education. Different states use different terms for gifted education including: "gifted," "academically gifted," "academically/artistically gifted," "gifted and talented," and "mentally gifted." States also vary greatly in the degree to which gifted education is a right of an eligible student. Only a few states confer a legally enforceable right to gifted education. Gifted education is just as appropriate for eligible blind students as it is for eligible sighted students. Schools often overlook gifted blind students for several reasons. First, typical testing instruments for giftedness are not normed for or appropriate for blind students. However, the student should never be penalized for administrative difficulties such as this. There are alternative means of assessing giftedness, and schools should use these for our blind students. Second, school staff members often have lowered expectations of blind students. They are so impressed by our children's ability to function as typical students that they have difficulty recognizing that our students could be academically exceptional in relation to typically developing peers. Third, school staff members often believe that our students already receive so many services that there would be no time for gifted education. However, the blind student's need for gifted education is no less than the need would be for a sighted student. The school must creatively determine how to meet each of the student's needs, in every area of special and gifted education. Extended school year services (ESY) are usually provided in the summer months and are designed to maintain existing or emerging skills. For this reason, schools sometimes resist providing ESY services to students who appear to function at expected levels. However, ESY services may be quite appropriate for blind students, given that the skills our students need to use may be difficult to practice in a vision-centric environment. Also, our students need access to their assistive technology during the summer months or they may not have the opportunity to utilize these devices. Placement is the last decision that an IEP team should make. Too often school officials and parents enter the IEP meeting believing that the student should be placed in an educational setting other than regular education. This is not appropriate. Each IEP team should begin with the assumption that the child will attend regular education classes in the child's neighborhood school. Only when more restrictive environments are necessary to provide the child FAPE should they be considered by the IEP team. Additionally, more restrictive environments should be considered only to the extent necessary. For example, the IEP team may determine that the student needs some one-on-one instructional time for Braille instruction, but the team may determine that some Braille instructional time should be provided "pushed-in" to the regular education environment. Please note that resource rooms are generally not an appropriate placement for children with no disability other than blindness. Some instruction in blindness skills might be appropriately provided in a resource room, but blindness is not a reason to segregate a child from the regular education classroom. Summer programs that focus on blindness skills provide a good opportunity for students to learn these skills with blind/low-vision peers. A student who attends such a program enjoys the benefits of the neighborhood school and the peer learning environment that the summer program provides. Examples of these summer programs include the National Federation of the Blind Braille Enrichment for Literacy and Learning Academy (NFB BELL Academy, https://nfb.org/bell-academy) and the youth programs offered by the Colorado Center for the Blind (http://cocenter.org/our-programs/summer-youth), the Louisiana Center for the Blind (http://www.louisianacenter.org/programs-and-services), and by BLIND, Inc. (https://www.blindinc.org/programs/summer). Schools may use these summer programs to meet a student's ESY needs. If you believe that the IEP is not appropriate for your child, you must act quickly or the IEP will be put into place. The action and time frame necessary are based upon your state's due process requirements. Typically you must notify the school within ten days, in writing, that you disagree with the IEP and want mediation or due process. If you fail to adhere to the required timelines, you may lose important legal rights. Even if you agree with the IEP, your work is not complete. The IEP is simply a piece (or many pieces) of paper. Human beings must implement the IEP. Throughout the year, keep up with how the IEP is working. Is the IEP being implemented properly and consistently? If not, where are the problems? Document these issues and keep in close communication with your child's case manager and service providers. Often problems can be solved quickly and amicably through simple communication. Is there anything still missing from the IEP? The IEP team can develop an amazing and fabulous IEP only to have circumstances change. Sometimes key school personnel move away, and the new staff members may have difficulty implementing the IEP. At other times the child may have medical issues that change his or her needs. Sometimes the child may progress more quickly than anyone imagined. In these cases that fabulous IEP needs to be rewritten so that it can meet the new needs of the child. After the IEP meeting, you may feel as though you have run multiple marathons. In reality, you have only begun the race.